Consider Bemboka an investment in warmth, comfort and style. Since the ‘60s, Bemboka have been producing lovely manchester and accessories that are both sophisticated yet understated – and found in hotels and resorts around the world. Such is their luxury appeal! 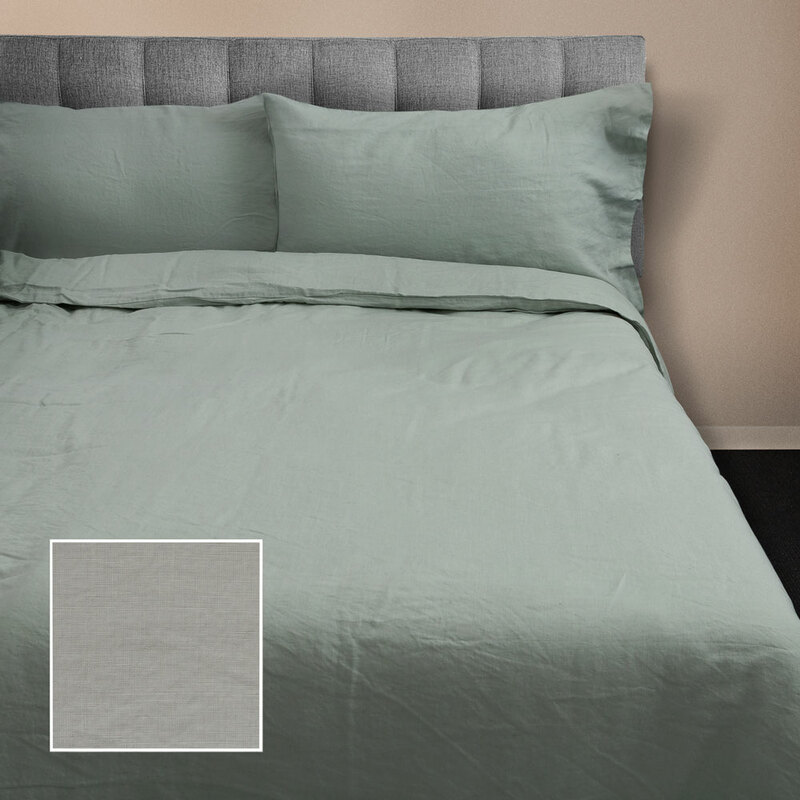 Treat yourself to a luxurious sleeping experience with Bemboka’s Pure Linen Duvet Cover Set. Crafted in Portugal using the finest Belgian pure linen yarn, each piece of manchester has been stone-washed, providing the set with a soft and relaxed look. With a duvet cover and two pillowcases inside, this set is your ticket to a perfect night’s sleep. Crafted from Belgian pure linen yarn. Stone-washed for a relaxed look. Presented as a set of three in two Bemboka zippered storage bags. Queen Duvet Cover – 210cm (l) x 210cm (w). 2 x Pillowcases – 73cm (l) x 48cm (w).